Nowadays, you don’t necessarily have to be a big gadget freak to be a big battery consumer. It seems almost impossible to get away from gadgets in this day and age, from remote control units to mobile devices, toys, gaming consoles, portable media players, and more, all of which run on battery power. Unfortunately, all of these batteries take quite a hefty toll on the environment. Batteries so often end up in landfills, where they can leak chemicals into the ground and eventually seep into the water table. Batteries can also burst or explode above ground, posing a significant risk to any person who comes into contact with them. Batteries come in disposable and rechargeable varieties. 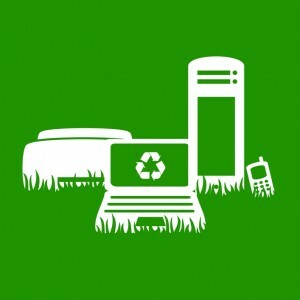 Disposable or dry-cell batteries are those that most commonly end up in landfills because they are typically discarded after the charge is exhausted. These types of batteries used to contain significant amounts of mercury, but most modern disposable contain alkaline instead. Although there are some disposable batteries that are totally free of mercury content, many still contain mercury and can pose an environmental hazard. Some of the negative effects of disposable batteries can be reduced by recycling them. The downside is that it isn’t always easy to find places that will actually recycle disposable batteries. Many recycling facilities simply separate disposables from rechargeable batteries and send them to a landfill anyway. In communities that provide proper facilities for recycling disposable batteries, a box is typically provided for empties. When full, the box is then sent to the recycling facility for processing. This can drastically reduce the amount of batteries that end up in landfills, which is an important concern considering that sales of disposables continue to increase every year. Rechargeable batteries would seem like an ideal solution to battery-related environmental issues, but there are some factors to consider with regard to their use as well. Rechargeable batteries are actually more harmful to the environment than disposable batteries because of their cadmium content. If you have the option, it would be better to go with the newer nickel-metal-hydride (NiMH) rechargeable batteries rather than the older nickel-cadmium (NiCad) varieties. NiMH batteries do not contain nearly as much toxic materials as NiCad batteries, which makes them the better option from an environmental standpoint. Regardless of which type of rechargeable battery you go for, keeping track of them and using them wisely is essential in order to reduce the negative effects on the environment. By holding on to rechargeable as long as possible and recycling them when their charge has run down, you will be better able to realize the benefits of using such batteries.